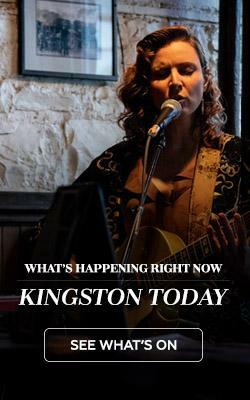 It seems like the distant rays of sunshine are finally getting closer to Kingston, bringing some much-needed heat, but also a sense of romance to the Limestone City. Let’s face it, no matter how idyllic that ice skating date is, taking a long walk by the water is ninety-nine percent more romantic. Want to really up the ante? 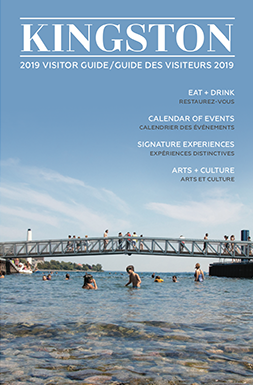 Check out Kingston’s restaurant scene. No matter what time of year it is, you can always count on these amazing restaurants to provide fresh, delicious food to wow your number one. Whether you’re looking to spice up your weekly dinner date, or that ever so “interesting” first date, any one of these fantastic spots will provide the perfect setting. We’re still trying to figure out what the best part about this Kingston gem is; maybe it’s delicious tapas made with local produce or the dim, intimate atmosphere that sets the perfect scene for any date. Whatever it is, we’re willing to head back, again and again, to figure it out. Effortlessly hip, you and your date can indulge in the Boniato Frito (sweet potato fries with feta, Harissa aioli, avocado cream, and roasted red pepper), Fish Tacos, Chicken Empanadas, Avocado Tartare, and so much more. Pair it with a glass of international or local Prince Edward County wine and toast to a great night. Tucked in the Tett Centre, Juniper Cafe overlooks Lake Ontario and is one of the cutest spots to take your date for a casual (yet delicious) brunch or lunch date. Their menu changes weekly, but you can always count on dishes that are made with fresh, locally sourced ingredients. Far from your basic soup and sandwich combo, this place offers dishes like their Breakfast Sandwich (with Bekings poached egg, double smoked bacon, aged cheddar and tomato jam, on a fresh buttermilk biscuit), Haanover View Farms Pork Sandwich (with roasted pork belly, apple dijon compote, brie, and charred onions), and a Fingerling Potato Salad (with chive cream and greens). They have a stellar espresso machine, and even offer beer and wine — so your quick coffee date can turn into afternoon drinks if the mood is right! Are you a foodie couple? You have to head to AquaTerra. Chef Brent McAllister and his team pride themselves on using locally sourced ingredients and ocean-friendly seafood in their deliciously complex dishes. Some of the highlights of the menu include Seafood Ravioli with Atlantic shrimp, rock crab, scallop, corn veloute, spinach, basil and roasted grape heirloom tomatoes. Or try their 72 hour Short Ribs with whipped parsnip puree, grilled scallion, caramelized savoy cabbage, pickled shimeji mushrooms, and topped with a soy cider reduction. And the cherry on top? AquaTerra was recently named in the Top 100 Romantic Restaurants in Canada by Open Table. Don’t have the budget for a romantic getaway to Paris? Same here. Luckily, Chien Noir Bistro provides the perfect French dining experience without having to change time zones. Bring your date here for mouthwatering French cuisine that is classy yet unpretentious. Their food mimics a French Gastropub menu and has great dishes like Beef Tartare, House Pappardelle, and — a classic — Steak Frites. With an innovative wine list and multiple menus (vegan, vegetarian and gluten-free options), you’re sure to find amour at Chien Noir. Located in the heart of downtown Kingston, Sima Sushi is a fan favourite for their high-quality sushi that doesn’t break the bank. Take your love here for an amazing meal of sushi, sashimi, Maki, and more. With upbeat staff and a cozy atmosphere, it’s a great space to enjoy some delicious food together. The only issue you’ll have on this date? Deciding between the Calamari Roll or the Chirashi Sushi. Some days it's hard to say what I like more; Her or the sushi ?? With Market Square just out the window, your beautiful date across the table, and a steaming dish of freshly, in-house made gnocchi in front, you can’t go wrong with Olivea. This family-run Italian trattoria offers up the perfect mix of traditional and contemporary dishes, house-made desserts, and wines that were specifically made to compliment the Italian food you’re eating. If you head here on a Tuesday from 6–9pm, you’ll be dining to live Jazz, queue the credits on this perfect night. PASTA’ll my classes woot woot ?